We are passionate about wanting to partner with you to help you with your vehicle storage needs. For all your towing, roadside assistance, and vehicle storage requests in the Temecula, CA area, come to Temecula Tow Company. Temecula Tow Company is the leading vehicle storage facility in Temecula, and we do the best for our customers while helping to maintain our stellar reputation for excellence. As your Temecula vehicle storage place of choice, you can depend on getting the finest in vehicle storage service the industry has to offer. When you need to store your vehicle, you need a professional place to store your car or truck the right away. Additionally, you need affordable rates. It is our goal to deliver total customer satisfaction on every vehicle storage job, guaranteed. Seeking a place to store your vehicle is made less stressful when you know you have an exceptionally affordable vehicle storage facility right in the Temecula, CA area. Whether you need to store your car, SUV, camper, trailer, RV, or mobile home, it is vital that you contact a knowledgeable vehicle storage company to get what you need. There is nothing more important than having a great experience with reliable and reputable Temecula, CA towing and roadside assistance company that offers vehicle storage in numerous sizes. When it comes to vehicle storage, we have clean, well-kept vehicle storage units where your vehicle will be safe and secure. We do everything we can to help you get your vehicle storage correctly for as long as you need it to be. Our goal is for you to feel good about leaving your vehicle in our possession. One of the best reasons to get storage for your vehicle is to protect your investment. Vehicle storage is critical for optimizing the parts of your vehicle, which means you save more of your hard-earned money. When it gets extremely hot and you are using your camper or trailer, don’t leave it out in the blazing sun. Come to us and let us store it for you. Having a smooth-running vehicle is absolutely necessary, especially when you decide to take a vacation with your vehicle. Don’t be one of these people that think nothing will ever bad happen to your unused vehicle if it is sitting on your property. Whether it is the weather or an auto theft, vehicle storage protects your vehicle from any adversity. With vehicle storage, when you leave home, you don’t have to worry if your vehicle is going to be there when you get back home. Vehicle storage brings that level of comfort to you. 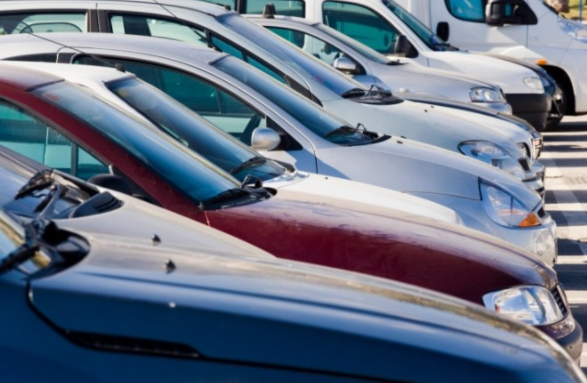 When you decide to get vehicle storage with us, our staff helps you decide what size unit you need for your vehicle. We work with you from the first step of your vehicle storage request until the car, truck, RV, etc. is in our possession. We are ready to manage your project, no matter how simple or complex it is. Take advantage of our low-cost vehicle storage fees! If your vehicle ever needs storage in an emergency or not, get Temecula Tow Company!